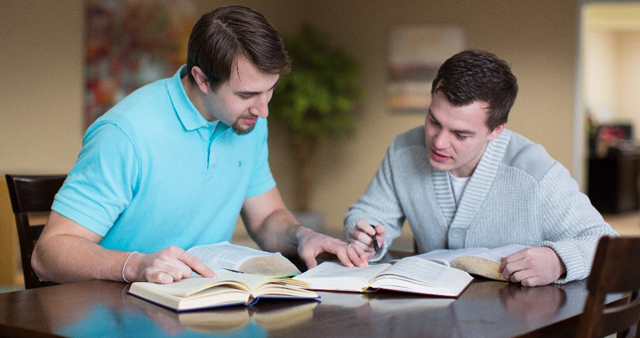 What if you could get a seminary degree that enhances your ministry instead of interrupts it? With Grace Theological Seminary’s new Deploy program, a seminary degree is now attainable within the context of your local church. The program was launched on January 8 and follows the model of competency-based theological education (CBTE), which is a combination of content, such as theology and interpretation, and application. In preparation for this program, Dr. Jeffrey Gill, vice president and dean of the seminary, met with about 100 pastors to discover how they learned to minister effectively. The program’s competencies aim to equip the students with the skills the pastors stated they felt were essential. Many pastors said theology is valuable, but administration and pastoral care are best learned from mentors who model those attributes. Because the program emphasizes mentoring and application, part of the requirement for a student’s acceptance is identifying two mentors to partner with as he goes through the program. One is a ministry mentor who will help the student develop ministry skills such as preaching, administration, and counseling. The other is a spiritual formation mentor who will connect with the student on a personal, spiritual level regarding his walk with the Lord, marriage, and so on. “The professors and mentors combine to make this educational journey formative for the whole person,” says Adam Swift, a student in the Deploy program and the associate pastor of family and worship ministries at Grace Church of Willow Valley (John Smith, lead pastor). Grace has also partnered with Logos Bible Software to bring resources to students in the program since they cannot walk into a campus library. Logos provides a customized Gold package for the Deploy program that includes 80 percent of the required reading embedded into the Logos software. This is provided to students from the beginning, and the cost is already built into the tuition. “It’s an incredible library right where they are,” says Gill. The cost of tuition for the Deploy program is $750 per month, whether the student is aiming for a Masters of Divinity or a Masters of Arts. In the CBTE model, you can control how much you pay by how quickly you learn and move on from competency to competency, because there is no set class length. “A lot of people, especially if they’ve been in ministry for a while, may be able to fulfill a whole competency in a couple of weeks,” Gill says. The ability to move quickly through the program is an encouraging incentive for students to keep progressing. Deploy also provides a model that allows students’ churches to partner with Grace and help with tuition costs. It’s called the “Third, Third, Third” model. If the church is willing to invest one third of their student’s monthly tuition, and Grace has scholarship funds available, that student may receive scholarship to fund another third. This may leave the student paying as low as one third of the cost and finishing with no debt. To send a note of encouragement to Dr. Gill, click here. To learn more about the Deploy program, click here.